Walgreens has a couple of really great deals this week. 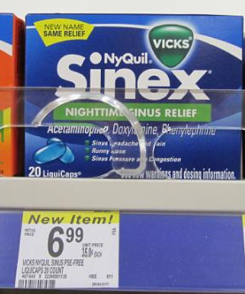 Vicks NyQuil Sinex is included in the $5 Register Reward deal this week (product is priced at $6.99, it should ring up at $5.00 each). 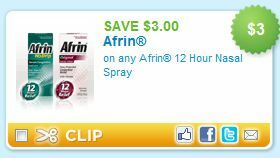 Final Cost after Coupons and Register Reward = FREE + $3.00 Moneymaker! Please check your local ad before shopping as some sales and prices vary by region.